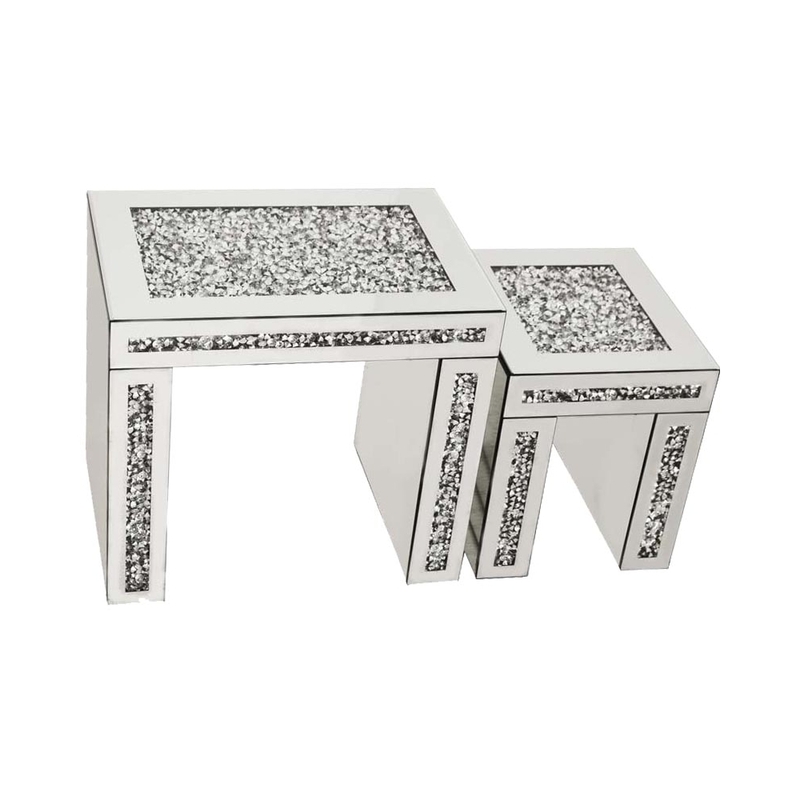 This is a gorgeous mirrored nest of tables, perfect for your home and your table needs. These are not only practical mirrored nest of tables but they're also absolutely stunning. They are decorated with beautiful diamond like crystals on the top and side of the tables. These beautiful tables are apart of the Gatsby collection.